Biotechnology indices have been on a rapid ascent for three years, and 2015 appears to be off to the races as well. Bloom Burton & Co.'s David Martin has taken his seat in the grandstands, betting on specialty pharma and biotech companies based in Canada, where resource stocks have absorbed so much investment capital that many healthcare names have remained hidden and undervalued. In this interview with The Life Sciences Report, Martin highlights a group of companies with superior growth prospects and room to run. The Life Sciences Report: The NASDAQ Biotechnology Index (NBI) has nearly tripled over the last three years, and we are now hearing people use the "B" word, as in bubble. In your opinion, where are we in this healthcare bull market cycle? Should investors be a little more selective now than they have been in the past? David Martin: First off, I think investors should always be selective in biotech. Every company is vastly different. I feel each company should be considered individually for its strengths, weaknesses and valuation. Essentially, each stock is a special situation, and should be treated as such. I see my expertise lying more in my ability to identify individual stocks that are undervalued versus making calls on valuations in the sector overall. In being selective, I would question whether a company that has already had a big move is supported by the fundamentals looking forward. I would also be selective from the standpoint of investing in companies that have attractive risk/reward profiles, but have nonetheless stayed under the radar in the broader investment community during the bull market. TLSR: Are we near the peak of the bull market? DM: There is no denying that the NBI has been almost on a continuous rise dating back to 2010. Also, when you look at sector leaders with at least 10 years of positive earnings history, and that haven't been acquired, most are trading close to their 10-year price/earnings (P/E) highs. However, when you look at the price/earnings to growth (PEG) ratios, they are not sky high. In fact, PEG ratios are closer to the 10-year averages, or even lower, suggesting that P/Es aren't out of line with the growth that's expected for this group of companies. "Essentially, each biotech stock is a special situation, and should be treated as such." If you put that together with the sector's fundamental positives, like better underlying science, better preclinical and clinical development capabilities, big pharma's continuing hunger for biotech drugs, the sector's increasing focus on currently untreated and serious diseases, and a U.S. Food and Drug Administration (FDA) that appears to be more pragmatic, you have pretty good fuel to keep the sector moving forward. I don't disagree that at times—possibly even now—valuations have been stretched across the sector overall, and maybe for certain groups of companies within the sector. But I think, if the fundamentals remain positive, that the consequence is more likely to be a valuation correction before the sector starts moving forward again, not a bubble bursting like we saw in 2000–2001. The major caveat, though, is that biotech isn't immune to broader macroeconomic events. TLSR: You said you look for names with solid profiles that have remained under the radar. Does that mean that investors should look for companies that have not taken part in the biotech bull market? Or should they stay with winners? DM: If the winner isn't stretched beyond its valuation, I see no reason not to stick with it. But, yes, I find it exciting to look for those under-the-radar companies that clearly have not been acknowledged in the bull market, and where the risk/reward suggests a valuation that's substantially above where the stock is now. As I said, biotech stocks are all special situations, and each has to be evaluated on the basis of its own merits. TLSR: You initiated on a group of Canadian biotech and specialty pharma companies back in mid-December, and you listed a set of drivers that you believe will power healthcare equities. At the top of that list, you mentioned the aging population. But I'm willing to bet that more than 90% of the drugs prescribed for older patients are generic products, where margins are extremely low. How do you see this issue? DM: I view cancer as a disease that will become more prevalent as the population ages, and certainly some of the most expensive drugs on the market today are new oncology drugs. Other areas of drug development are inclusive of an aging population, such as cognitive decline, peripheral neuropathies, and certain anti-infective programs. You can extend this out into other areas including the medical device sector, which has many devices geared toward an aging population. The aging demographic is only one factor that I think is driving the fertile market for new drugs. TLSR: David, you implied that the FDA has become more accommodative to drug developers. How do you mean that exactly? DM: I view it as the FDA being more pragmatic than accommodating. While the FDA currently has a commitment to approve more drugs, this could change in the future, and that would not be good for the sector. The good news is that the FDA seems to have settled into a groove that appropriately and efficiently weighs the need and risk of a drug under consideration. I think the agency might be harder to knock off its current path than it has been in the past. TLSR: With regard to the FDA, there were 41 new molecular entities approved in 2014. There were 27 approved in 2013 and 39 approved in 2012. But not too long ago we were down into the teens. Do you think we're at a sustainable rate of approvals now? DM: That's up to the sponsors or the companies more than the FDA itself. The FDA has made a commitment to approve more drugs, and it has lived up to that commitment by instituting programs and incentives for orphan drugs, breakthrough therapies, anti-infectives, rare pediatric diseases and tropical diseases. These programs and incentives have, in turn, led to clear development paths, shorter review times and more first-cycle approvals. In 2014, these programs did contribute to a relatively robust number of new chemical entity approvals. "I find it exciting to look for under-the-radar companies that have not been acknowledged in the bull market." I don't know if the agency is capacity-constrained right now, or if the current infrastructure would be sufficient to approve, let's say, 60 drugs in a year. Regardless, a workload increase will likely be driven by companies filing more new drug applications (NDAs) and biologic license applications (BLAs). I think the agency could and would expand, at least incrementally, in line with the commitment to approve more drugs. TLSR: In your sector initiation report of Dec. 18, 2014, you also referenced the Prescription Drug User Fee Act (PDUFA), which mandates fees paid to the FDA by drug developers or sponsors. You said this was a big help because it gives the FDA a more elastic budget. DM: That's one of the reasons why I think the FDA can grow incrementally if the demand grows. TLSR: Could you talk about some of the names you initiated on in December? DM: As I look for stocks where the risk/reward is unbalanced relative to the current valuation of the company, the one stock that really sticks out is Trillium Therapeutics Inc. (TR:TSX). We are rating it Buy, Speculative Risk, with a target price of CA$20.75/share. This company is working in the immuno-oncology space. 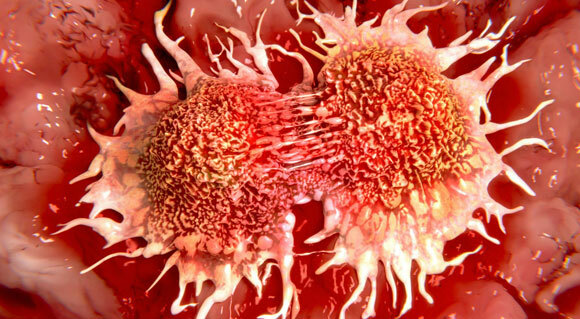 It has a preclinical drug called TTI-621 (SIRPαFc) that blocks CD47 on cancer cells. CD47 normally suppresses macrophages, and by blocking CD47, TTI-621 effectively "unblinds" the macrophages and unleashes them to see and attack the tumor cells. TTI-621 is an immune checkpoint inhibitor, like anti-PD-1 (programmed cell death 1) drugs including Merck & Co. Inc. (MRK:NYSE) Keytruda (pembrolizumab) and Bristol-Myers Squibb Co. (BMY:NYSE) Opdivo (nivolumab), which are already on the market. Unlike Keytruda and Opdivo, which act on T cells, though, TTI-621's direct action is on macrophages, an approach that is different but may have some advantages. "The aging demographic is one factor driving the fertile market for new drugs." When I initiated on Trillium, the company had a market cap of about CA$50M and about CA$30M in cash. The comparable U.S. immuno-oncology companies trading on NASDAQ had market caps ranging anywhere from US$150M up to US$3–4 billion. With that kind of differential, I thought there was a real value arbitrage with this stock. It has moved up substantially since we initiated coverage, and is now trading at the bottom end of what I would call the immuno-oncology comp group. I still like Trillium. It is obviously very early in development, but the mechanistic rationale and preclinical results generated so far are quite encouraging, and if early clinical work is positive in about a year's time, I believe the company will be valued substantially higher than where it is now. TLSR: You obviously got investors' attention when you initiated on this name, because Trillium's stock is up over the past four weeks. Do you feel like there's a lot more upside? DM: The stock could be volatile because it has had this run, but I think there's more upside possibly even before TTI-621 gets into the clinic, and certainly if early clinical results are positive. Even after the run, it is still one of least expensive stocks in the immuno-oncology space. TLSR: Is this a binary event company? Are there other products in the pipeline? DM: There are two drugs in the Trillium pipeline that target CD47. TTI-621 has an Fc effector region that elicits an immune response beyond the blocking of CD47. It's meant to be a monotherapy. The company also has TTI-622, which doesn't have this active effector region and does not elicit the additional immune response. This second drug could be ideal for combining with other therapies. As for Trillium being a binary event company, you are not typically looking for binary outcomes in preclinical and early clinical work. Rather, you're looking for signals of efficacy and acceptable safety. If there's an extreme safety signal, that could be a binary on the negative side of things, but we haven't seen any signs of that in any of the preclinical work Trillium has done. And, although TTI-621 is targeting a different cell in the immune system—macrophages rather than T-cells—the immuno-oncology paradigm has worked out thus far for leading drugs in the category. TLSR: Go ahead to your next company. DM: The second company is Aurinia Pharmaceuticals Inc. (AUP:TSX), rated a Buy, Speculative Risk, with a CA$6/share price target. The company is developing a calcineurin inhibitor called voclosporin for lupus nephritis. It is in a Phase 2b clinical trial now. Voclosporin is an immunosuppressant, and we think it has quite a high probability of showing a positive efficacy and safety profile in this trial. TLSR: How can you be so positive on a drug that is only in Phase 2? DM: Because calcineurin inhibitors have been tested in lupus nephritis before, with quite positive results. The mechanism of action has been validated well by similar drugs, and this drug potentially has important advantages over other drugs, such as cyclosporine and tacrolimus. TLSR: What are the advantages of voclosporin in treating patients with lupus nephritis? DM: It has shown signs of being less diabetogenic than tacrolimus, for one, and lupus nephritis patients are susceptible to diabetes. Versus cyclosporine, there's less interaction with CellCept (mycophenolate mofetil; Genentech/Roche Holding AG (RHHBY:OTCQX), which is a standard-of-care drug in the treatment of lupus nephritis right now. DM: BELLUS Health Inc. (BLU:TSX; BLUSF:OTCPK) is a real swing for the fences. We are rating it a Buy, Speculative Risk, with a CA$3/share target price. It has a drug in development called Kiacta (eprodisate disodium), which it is developing for treatment of AA amyloidosis, an orphan disease where amyloid fibrils progressively clog up the kidneys. "The FDA seems to have settled into a groove that appropriately and efficiently weighs the need and risk of a drug under consideration." In preclinical studies, Kiacta has shown it can stop further aggregation of the amyloid fibrils quite effectively. The drug has been tested in Phase 2, and that study was positive, although not conclusive. The company is currently running a larger, confirmatory Phase 3 trial that incorporates some trial design adjustments based on analysis of the Phase 2 data, which we believe could strengthen the outcome of the Phase 3. Results are expected in a little more than a year, and the stock has a very low value for a potential orphan drug company, making the risk/reward for BELLUS attractive, in my opinion. TLSR: Dave, you have several specialty pharma companies under coverage. Could you address them? DM: I cover three specialty pharma companies— Knight Therapeutics Inc. (GUD:TSX; KHTRF:OTCMKTS), Concordia Healthcare Corp. (CXR:TSX) and Tribute Pharmaceuticals Canada Inc. (TRX:TSX.V; TBUFF:OTCQX). Of the these three companies, I think Tribute has a portfolio of products that is worth more than where the stock is trading, and we have it rated Buy, Above Average Risk, with a target price of CA$1/share. Both Knight and Concordia have valuations that price in, at least partially, the next acquisitions those companies will make, and I have each rated Accumulate, Average Risk, with CA$8/share and CA$49.50/share targets respectively. TLSR: It appears these specialty pharmas all have an acquisition strategy for growth. Would that be correct? DM: Yes, all three of them do. Knight is pursuing a somewhat more unique strategy. Ultimately, it will be known for the drugs it has acquired and will sell in its target markets, but right now the company is also making investments into healthcare investment funds, with the intention of ultimately gaining commercial rights to next-generation therapies in certain markets. The Knight team is headed by Jonathan Goodman, who built and sold Paladin Labs Inc. to Endo Pharmaceuticals Inc. (ENDP:NASDAQ). He's replicating the business model he had at Paladin, with a few twists. I think the company is headed in the right direction. Knight has a lot of cash, and the management team is patient and prudent in its acquisition strategy. TLSR: Dave, both Concordia and Knight have hit or gone through your target prices for each. What will it take to get you to up your targets on these companies? DM: I'm looking for the next major acquisition or business development event for the companies. TLSR: I have one question about Tribute. The company has doubled its sales force, now with 24 reps, but the range of specialties is broad, with all of its different products. Target physicians range from primary care to endocrinology, dermatology, neurology, orthopedics, sports medicine, urology and uro-gynecology. How do 24 people sustain that kind of broad platform of specialties? DM: They're focused on the Canadian market, and you don't need a huge sales force to cover Canada. The sales force is split along the lines of in-hospital and out-of-hospital specialty sales forces. The out-of-hospital team is mainly targeted to cardiovascular and neurology. The company does have more out-of-hospital representatives. You don't need many hospital reps in Canada to cover the big hospitals. The company has picked certain areas of focus, and the drugs it bought most recently, one for cardiology and one for neurology, are synergistic with products it already had in its portfolio.